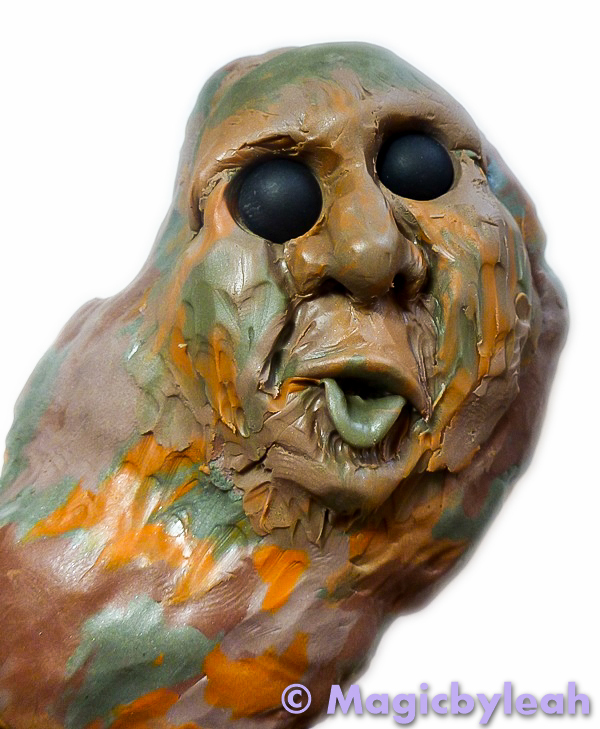 Continuing along my polymer clay journey through fairies gnomes and trolls, we encounter the Broogen Bogge the rock troll on page 51. And what do you do with a heavy rock troll? You have him hold your papers of course! well, did I mention he’s a rock? While the book calls for finding and using a real rock, I chose to create my own. I didn’t feel like going outside to seach for a rock, and didn’t want to worry about what may or may not be oven safe. I also figured that creating my rock core will give me more flexibility with the overall shape. 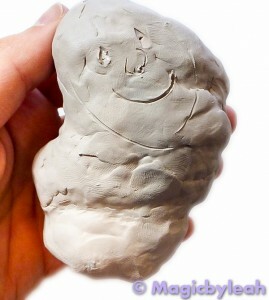 And don’t worry, the amount of clay to be added will provide the ‘weight’ for the paperweight. I started with a big lump of Foil shaped into a twisted lump. 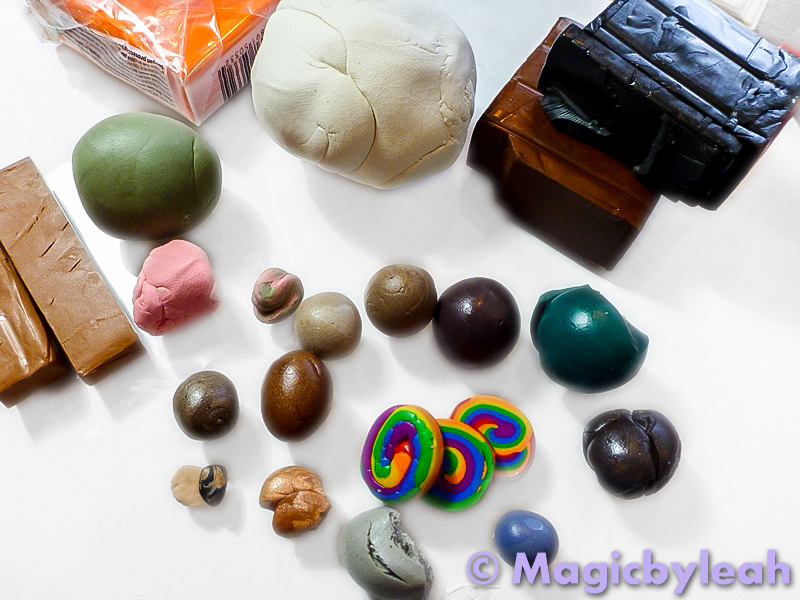 I then assembled a bunch of my Premo Polymer Clay scraps to create the rock colors, and Original Sculpey to create the first clay layer. This is the fun part. 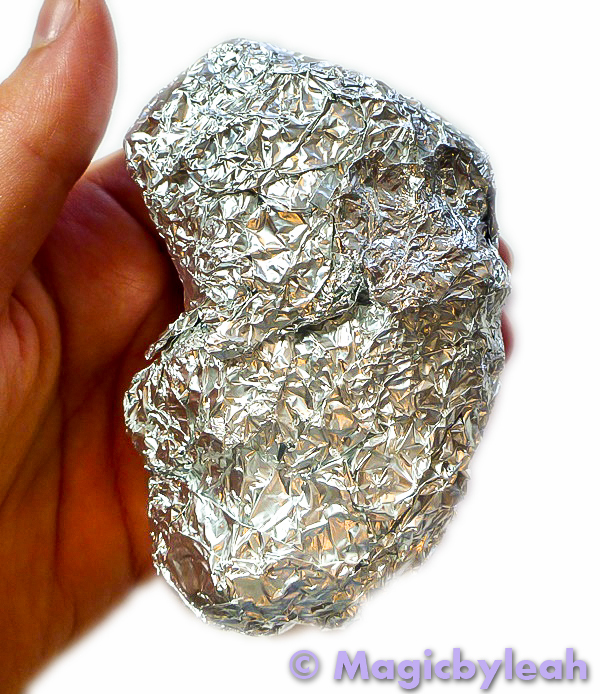 When covering a Foil core, you must be careful not to trap giant air bubbles. 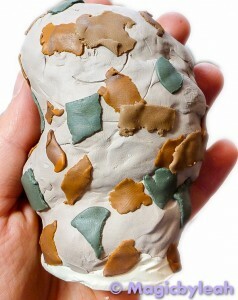 When heated the air will expand causing the clay to crack. 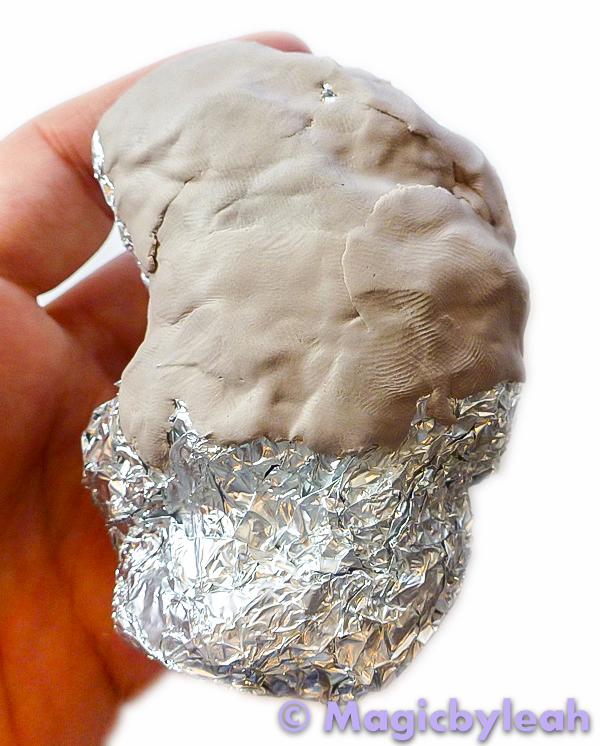 and so I added small thin chunks of Original Sculpey working it slowly into the Foil to ensure a good stick. Using a tapestry needle I marked the general facial features. Now for the fun part. 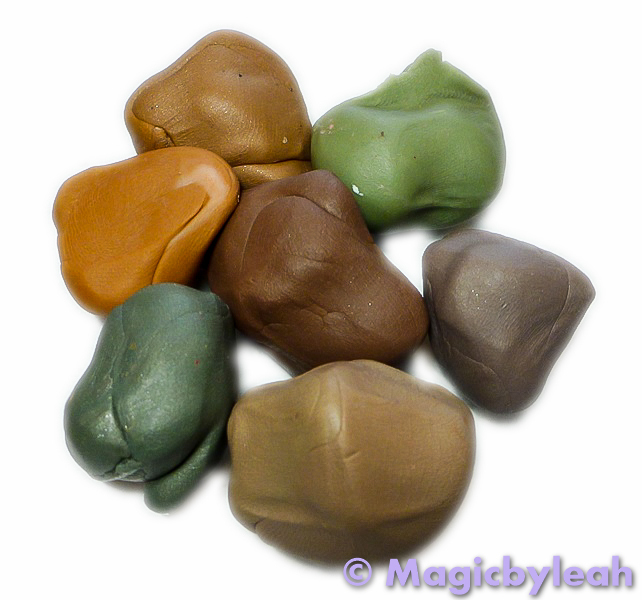 Rocks aren’t ‘solid’ in color. And a rock troll must be able to blend in with the rocks to avoid detection. How do I know it works? Have YOU even seen a rock troll? 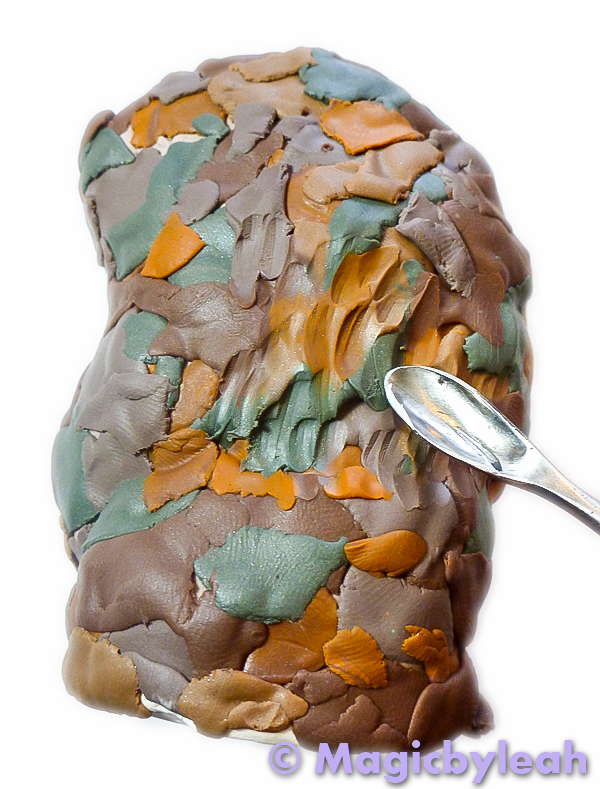 I mixed different scraps together to get a few lumps of brown, green, orange, and some in between shades. 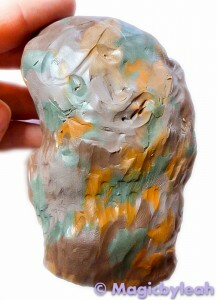 Then I had some OCD fun pasting small bits of colored clay all over the troll’s body. 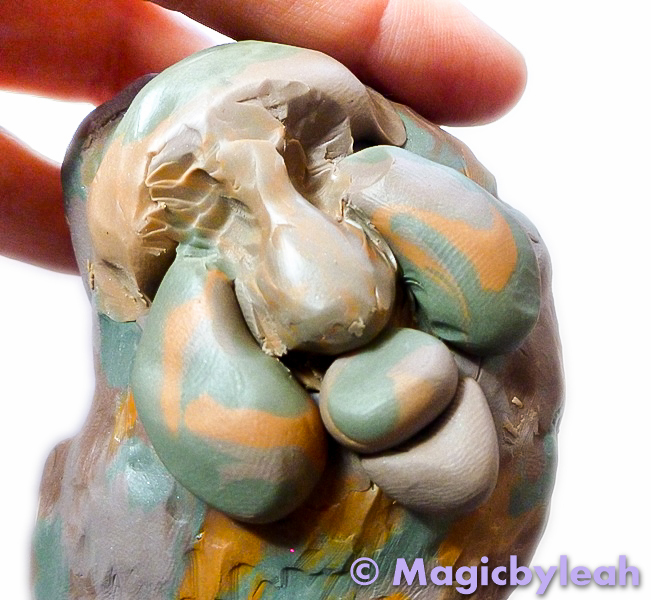 Using a wax carver sculpting tool I blended the seems to a purposeful imperfection. This ensured the clay was blended in, but the colors were not mixed, and the body was not smooth. I marked the facial features again and added rough shapes for each component including forehead, nose, cheeks, mouth, chin. 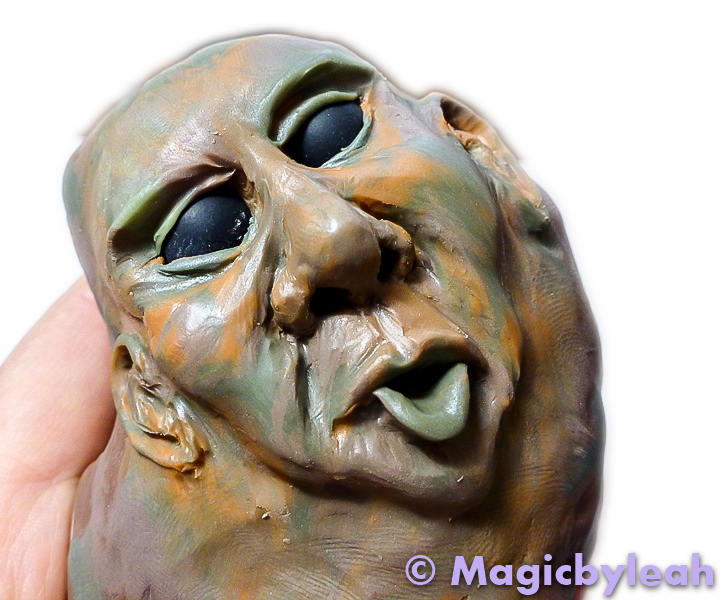 Now for the fun part – turning brownish lumps into a face. I squished and smoothed, pushed and pulled, till the rock started slowly coming to life. 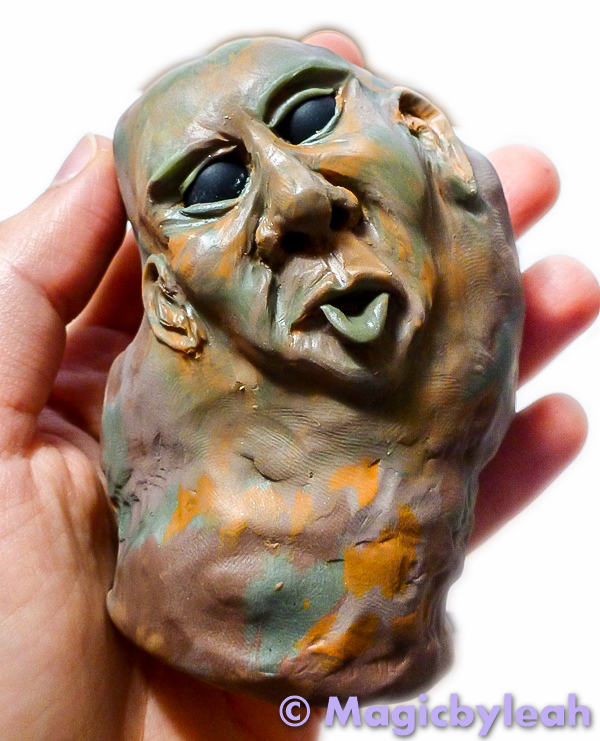 I decided to cheat and baked a black eyeball which I cut in half and inserted into the sockets. His face isn’t perfect, but compared to my skill level I think he turned out pretty well. Compared to my most recent facial sculpting experiments, I definitely notice some improvements in the placement of the eyes, shapes of the nose and cheeks, and certainly around the mouth. Still lots to improve but hey, He’s just a troll! To Be Continued! hands, feed, and finishing touches.